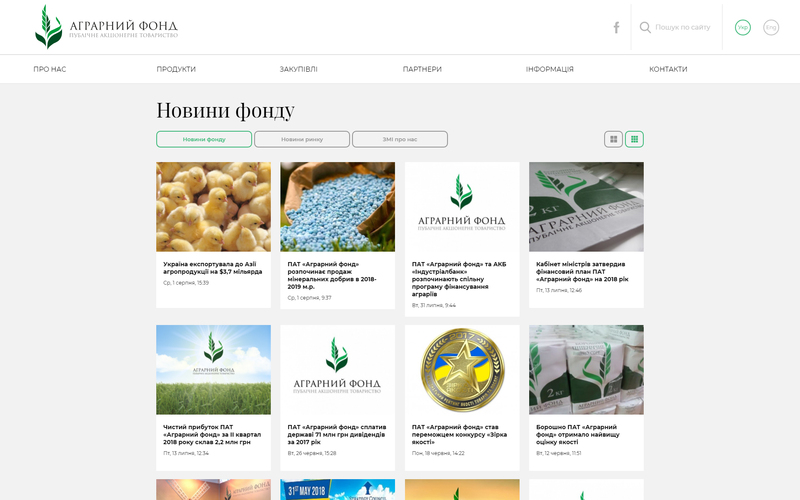 Public Joint-Stock Company “Agrarian Fund” is a leading operator of the agrarian sector in Ukraine. 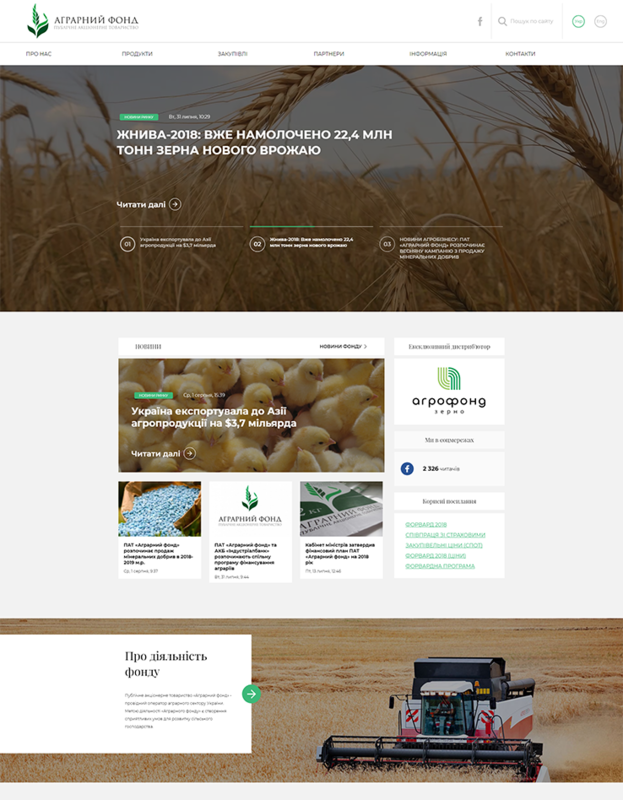 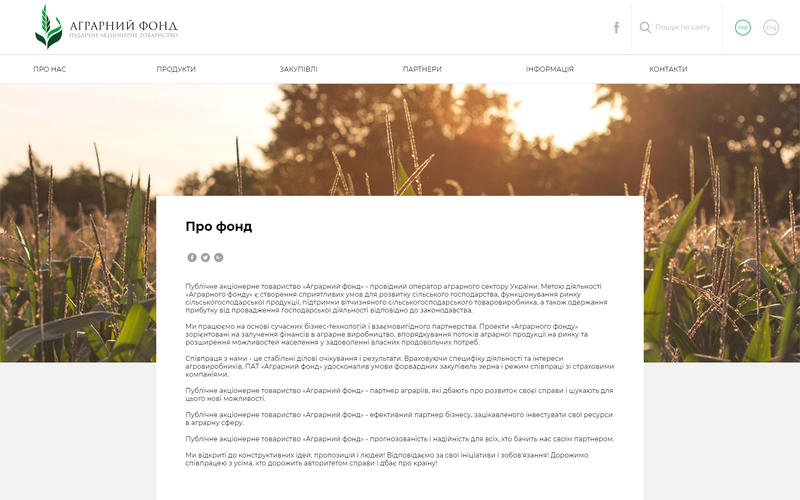 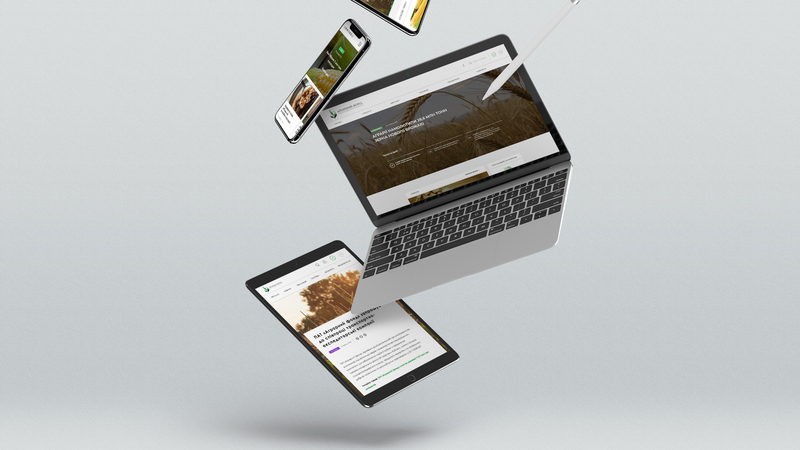 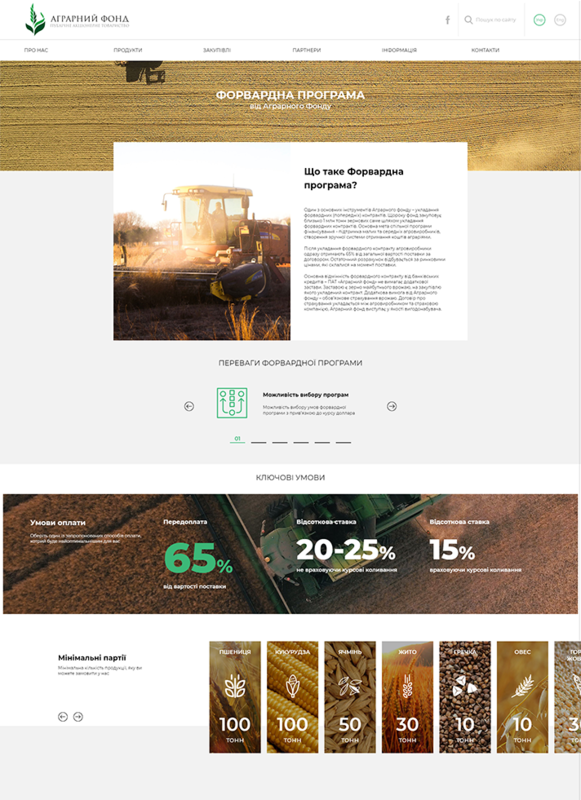 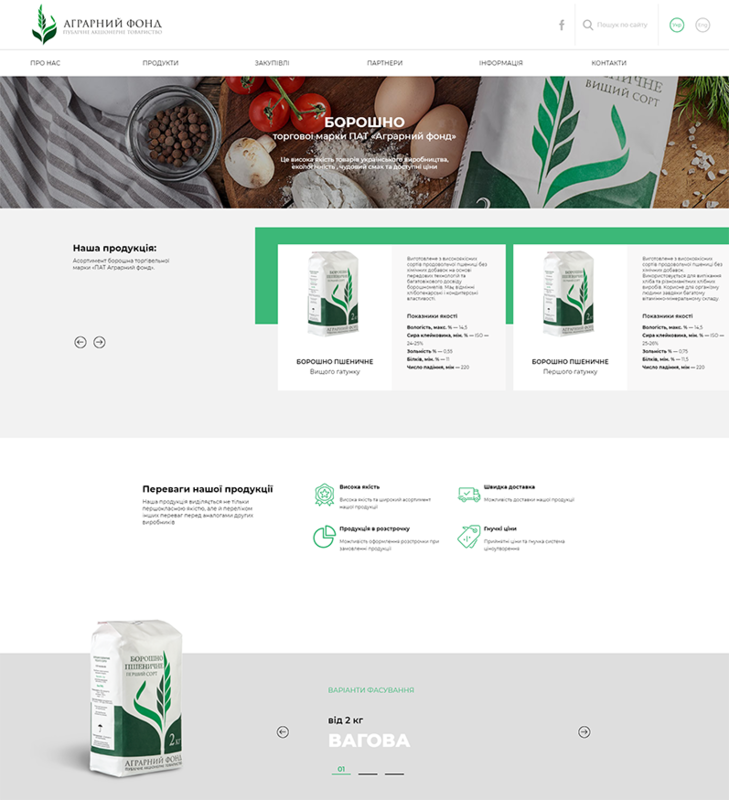 Our goal was to combine the old functional with a new design, not to get into the cluttered visual clichés and to create a modern presentation of the Agrarian Fund in Ukraine. 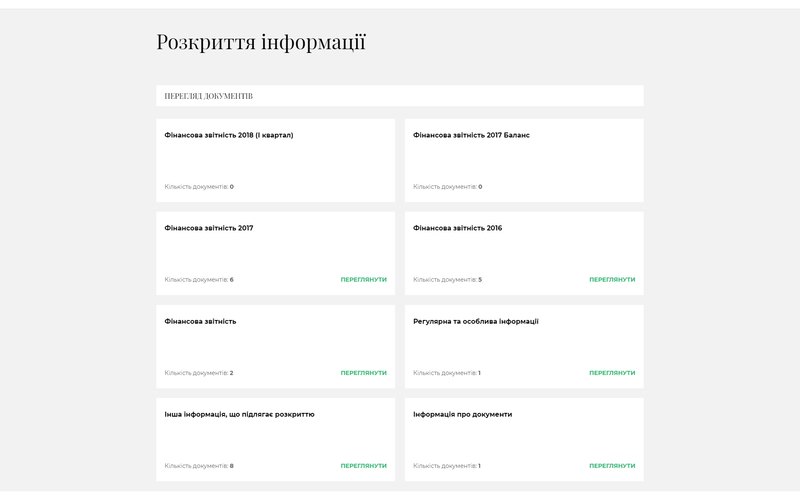 We came up with a neat design with a logically built, ramified information architecture, in which it’s hard to get lost and with which it’s nice to interact.